While he's right concerning the dating of the Pentecostal Church, the Charismatic movement didn't really get going until 1960 with Dennis Bennett. Before then, the Evangelical Church had kept its distance. But it still begs the question, "What if a Strange Fire type conference had been held fifty years ago?" Would it have made any difference in the Christian landscape then? Would Christianity look different today? Whether or not you agree or disagree with MacArthur, the question needs to be asked, "Is the Charismatic issue the most important battle Christians should be waging war against right now?" In my understanding, I see it more as an issue of heterodoxy rather than heresy. Sure, there are forms in the Charismatic movement which I would consider heretical, but that is not the whole of the movement, and I do know and am friends with Charismatics who fight against this type of nonsense. Piggybacking off my friend's witty comment, there is a new pony in the stall that is just breaking out. 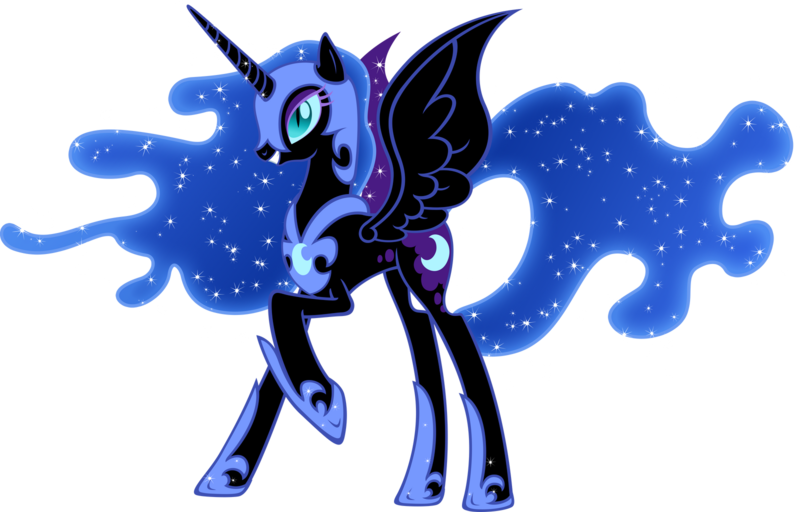 This filly is altogether more insidious and heretical to boot. I'm talking about the Emergent Church. Think of it as a postmodern version of modern liberalism. Where modernism attacks the authenticity of scripture to get to its conclusions, postmodernism attacks the perspicuity of scripture to come to those same conclusions. Truth is no longer black and white, but there are many shades of black and white, with a whole lot of grey in between. This type of thinking has led many people astray from the true gospel. While there is no major denomination or Church movement that distinguishes itself as Emergent, this type of teaching has crept into Evangelical circles worldwide. It comes in many shapes and sizes. It is in the books Christians read, the podcasts they listen to and the new spiritual practices they are taught. It is a move away from the Five Solas of the Reformation and ultimately away from the clear gospel message. 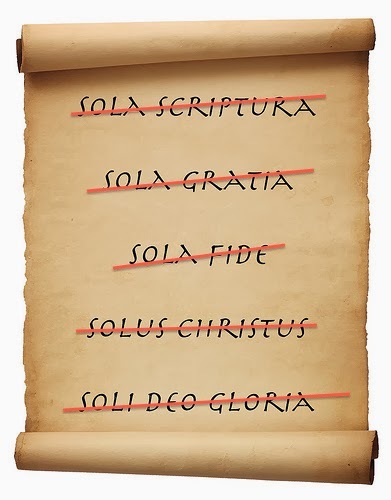 Sola Scriptura is attacked when many different hermeneutical interpretations on the Bible are suddenly considered valid. Scripture can no longer be a determiner of doctrine, but only how the reader chooses to understand the text. This puts the reader in control of God's Word, deciding what doctrine that is pleasing to him or her. Certain sins are tossed away based on preference, leading to a morality that people can pick and choose from. No longer does the Christian bend their knee to God's will, rather God bends His knee to theirs. As a result of this first attack, Sola Fide is next to go. Law and Gospel passages are no longer distinguishable from each other and loving God and neighbor has become the new gospel message to many. Faith in Christ atoning God's wrath by His sacrifice on the cross for the forgiveness of sins is no longer the message of the salvation. That message is too divisive and makes God the Father look like a cruel tyrant. Instead, Jesus came to show us how to live a life of love, which is the new path of salvation. Faith in Jesus isn't even necessary, because people can love like Jesus in their own faith tradition. As nice as this sounds, in reality it is a works based salvation. Faith can be discarded, because it is no longer needed. Some have gone so far as to say that doubt is the new faith. As with Sola Fide, so goes Sola Gratia. Again, no need for grace when we have our works lifting us up. Plus, grace implies that Jesus was punished on the cross by the Father, and who needs that image in their head? Solus Christus is now reshaped. Jesus, by being the perfect example for us to follow, has a new way of salvation. Instead of relying on Jesus' righteousness to be imparted to us, we must make our own righteousness through following His kingdom path. Again, loving God and neighbor is the key to all of this. Finally, Soli Deo Gloria is the last to be scrapped. If God receives all the glory, where's the fun in that? Sure, God still get's most of it, but we're putting in our hard work too. We've decided to love God and love neighbor. Give us a pat on the back as well! When all is said and done, we have a religion that really accepts any belief as long as it is consistent with the commandment to love. The Christians who have elevated doctrine above love are considered promoters of hate. Forget that ancient nonsense that you are born dead in trespasses and sins, you have good inside your heart and all you need is love. This is the real threat to the modern day Church. More so than the Charismatic movement, because it is a direct attack on how God saves. It is now creeping into Churches of all denominations. Authors like Rob Bell, Brian McLaren, Tony Jones and Tony Campolo are read by millions. They introduce doctrines such as universalism, the non-atoning work of Christ, the non-virgin birth, etc. Spiritual practices such as lectio devina and silence/solitude are now considered normal Christian behavior, thanks to authors like Richard Foster and Dallas Willard. The bottom line is that this movement is young and just out of the gates and we still have time to bridle that pony and put it back into the barn before it is too late.